This versatile Hanamint dining seat cushion is 2" thick and measures 20" W across the front and x 18" W across the back and is 18" D. This knife edged cushion will fit Hanamint dining collections like the Ashville, Orleans and Grandview. Two ties allow you to secure the seat pad securely to the chair back. Choose from a wide range of deluxe Sunbrella fabrics; Sunbrella is fade and water resistant and is the perfect fabric for outdoor applications. 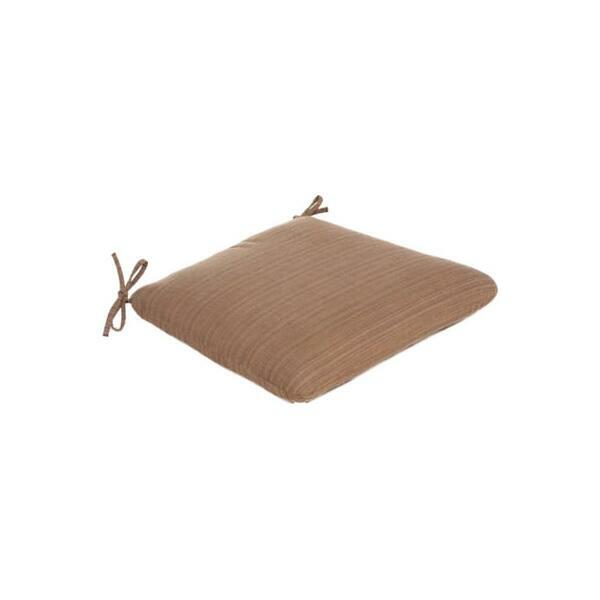 The quick drying Dacron cushion core ensures that this seat pad will dry quickly when it does get wet. 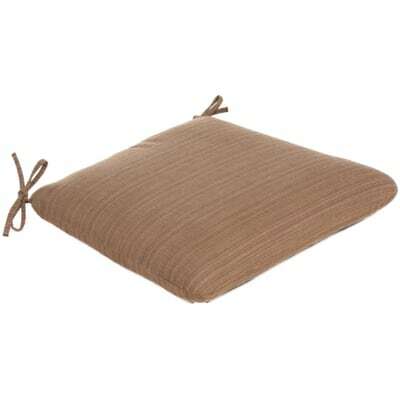 Classic Cushions is your best source for quality replacement cushions.